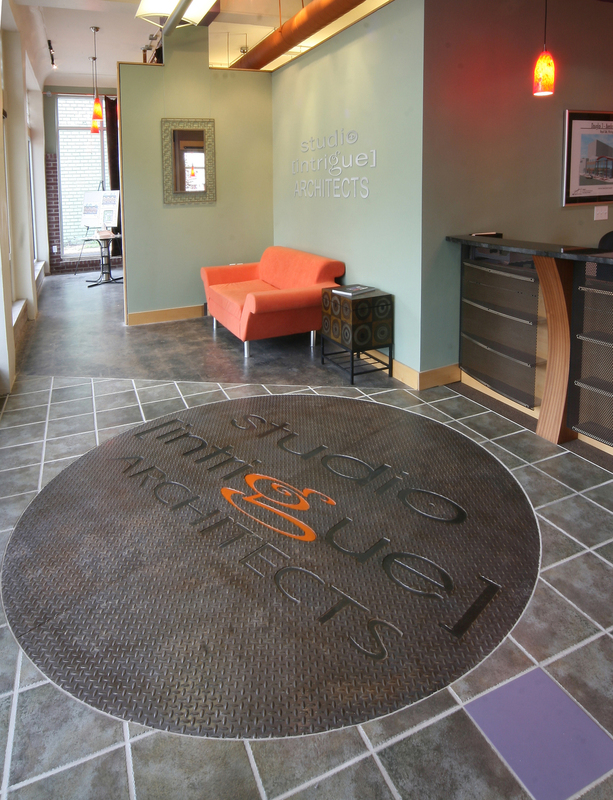 Studio [intrigue] Architects, LLC opened its doors for business on 03/03/03 in Okemos, Michigan and is the product of the dreams and hard work of David VanderKlok and Kenneth Jones. Ken and Dave hoped of starting their own architecture firm since they met at Lawrence Technological University’s School of Architecture and Design in 1990. They began as college roommates, evolved to friends, and grew professionally alongside one another since 1997. Ken and Dave walked into their first office without a single client, project prospect, or employee. They picked up the phones, sent out brochures, and at the close of 2004, Studio [intrigue] Architects had a client base of 75 businesses, a project list of 300, and a team of 7 people. It was evident that Studio [intrigue] Architects would continue to become one of the top generalist design practices in Michigan. In 2006, Studio [intrigue] Architects moved their office to Lansing, Michigan as a frontrunner in the revitalization of REO Town. Finding promise in 1114 S. Washington Ave., Ken and Dave transformed the once deteriorating building into an asset to the community as the company continued to grow. While excelling locally, Studio [intrigue] Architects is adept at a range of applications and has expanded their portfolio to include work in multiple states as well as internationally. Today Studio [intrigue] Architects has expanded to 18 employees and continues to be an exemplary firm and leader in architecture and design.